I am a charming home in the highly sought after St. Johns Wood subdivision. A key feature is the oversized kitchen and dining area just waiting to be loved by many, as I have a center island, drop lighting and extra wide space for entertaining in the dining area with tiled bench seating in front of a large and oversized window. The formal living room and great room share a two sided fireplace and a perfectly sized dry bar to make family time even more cozy. My master bed room includes a user friendly walk through closet accessible from the master bedroom and bathroom, which includes a double vanity, separate shower and garden tub. This property includes a separate workshop in the back and sits just beyond two separate deck areas, one from the great room, and one from the master suite. 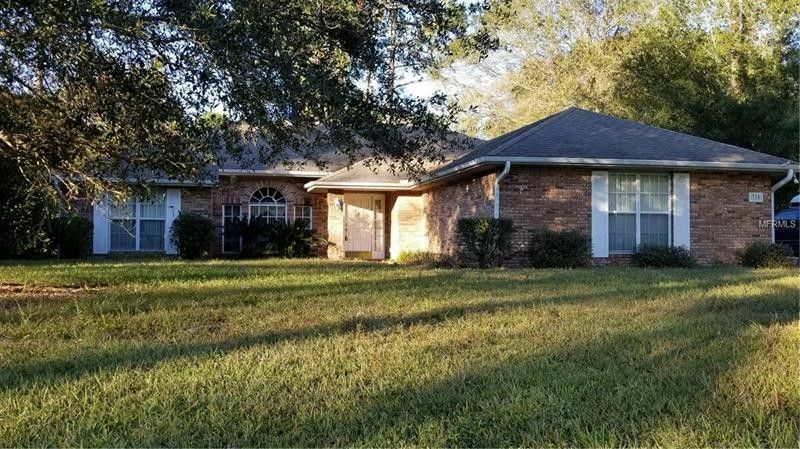 I have other great bonuses including water softener system,alarm system, screened porch, ceiling fans throughout, chair railing, pass bar, copper pipes, yard drainage, double paned windows throughout and quiet location. My roof is in great shape as it was replaced in 2004 with a 30 year shingle! My AC was also replaced in 2004. I am a home that you must see to appreciate. If you are looking for that wilderness feel without all the extra land, I am the perfect place to have the best of a quiet setting and a hometown access to life's necessities. Come see me now...before I am gone! I am priced right to leave room for updating to your liking.